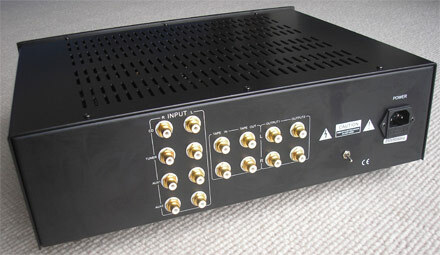 First of all a new Line Stage pre-amplifier, the L10. This has taken longer in development than I'd have liked but I suppose good things come to those who wait. It has 4 line inputs, a Rec in / Rec out loop and twin main outputs. It also has remote controlled volume via a motorised ALP potentiometer. 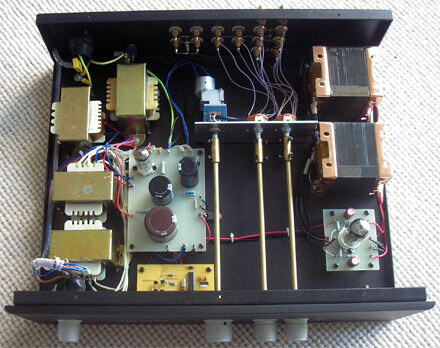 It's a substantial item weighing 16 KG with separate power transformers for HT & Filament supplies, a valve rectifier, twin chokes in an LCLC configuration, and a zero feedback triode output stage loaded by custom wound output transformers which give sensible gain & low output impedance. I'm very pleased with how it sounds.